You could think of your office wiring as the "nervous system" of your network. Clean cabling that is installed correctly, terminated cleanly and tested will help everything run more smoothly. Documentation and labeling assists greatly in any troubleshooting or modifications in the future. 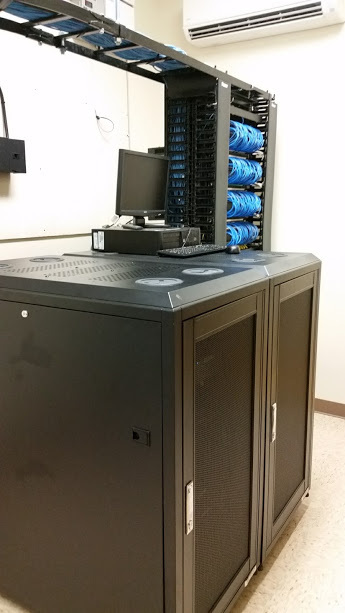 One Source Communications has cabled hundreds of offices for voice, data, and video. Our work is professional and guaranteed. We are able to handle complete wiring of new facilities as well as moves or additions to existing offices. Contact us today for any of your office wiring needs. Cable is like everything else – there are varying levels of quality. Going with the cheapest is rarely a good option. You also must be aware of the cable rating. Depending on your requirements you may need Cat5, Cat6, or fiber in some areas. Always start with a planned design and think of future needs. Once the proper cable is in place they must be terminated to a jack on the wall and to a patch panel in the data room. They then need to be connected to your network switch and other equipment. Does your data closet look like a pile of spaghetti? Poorly terminated cables, old tangled patch cables, low quality jacks, and other “sloppiness” is a great way to cause network problems that can seem hard to find. Don’t make that mistake. Insist on quality work for your business. Any moves, changes, or additions to your network are far easier when you can quickly and accurately see what is already in place. Jacks should be labeled and correspond to labeled ports in your data room. They should all be tested and ready to go. This is our standard practice for any new cable installation.